I bought The Hairy Dieters cookbook from the charity shop last week. We’re planning on making lots of the recipes but adapting them so they’re Slimming World friendly. 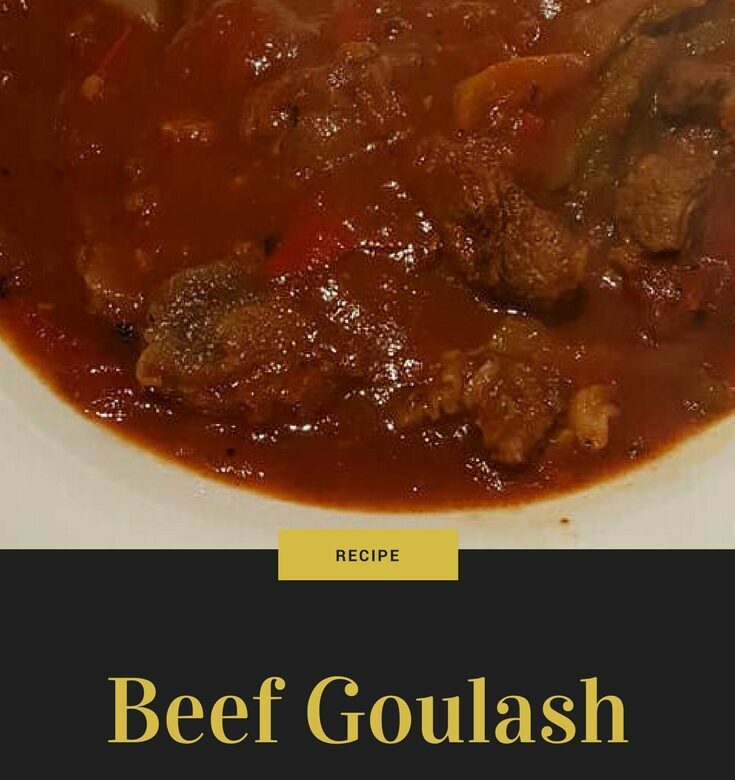 Everyone enjoyed this beef goulash, even Ella who can be a bit tricky with anything spicy. To combat that, we used regular smoked paprika instead of hot smoked paprika. We only gave her a little bit, expecting her not to like it but she loved it and said she’d have liked a bigger portion! Trim any hard fat off the beef and cut the meat into bite-sized chunks, Season well with salt and pepper. Spray a large flameproof casserole dish with low-calorie cooking spray and fry the beef over a high heat until browned. Add the onions and cook for 5 minutes until softened then add the garlic and cook for a further minute, stirring regularly. Sprinkle over both paprikas and crumble in the beef stock cube. Add the water, tomatoes, tomato puree and bay leaves. Season with salt and pepper, stir well and bring to a simmer. Cover with a tightly fitting lid and transfer to the oven. Cook for 1.5 hours. While the beef is cooking, remove the core and seeds from the peppers and chop into chunks. When the beef has been cooking for 1.5 hours, remove from the oven, stir in the peppers, put the lid back on and cook in the oven again for a further hour.